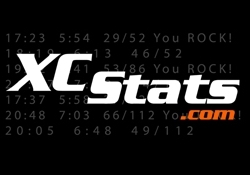 Check out XCStats.com! 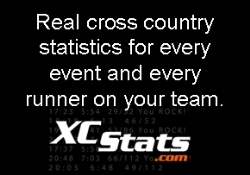 It’s a new service for 2007 that provides fantastic cross country stats for high schools. It was developed by a Mitty parent and is now available to all California schools. With its dynamic, interactive charts and reports, the data is easy to understand and navigate. And good news for coaches – there is no data entry required! 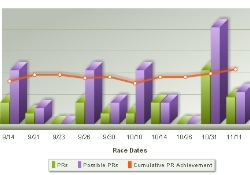 It’s a real time saver, as coaches don’t need to calculate and track their results manually. We’re using it at Lynbrook. It will help us set appropriate goals for every runner and increase interest in cross country. 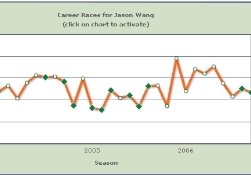 And, in working with the team at XCStats, we’ve been able to load every race by a Lynbrook student since 1991! Explore the Lynbrook XCStats site. It’s a great way for alumni and parents to keep abreast of our team. In addition to capturing all results from Lynbrook students , we’ve also loaded data from everyone who has run the Lynbrook XC course, either at the Lynbrook Invitational or the Lynbrook Center Meet. You can see that data here.